1.Durebale and silence in motor operation. 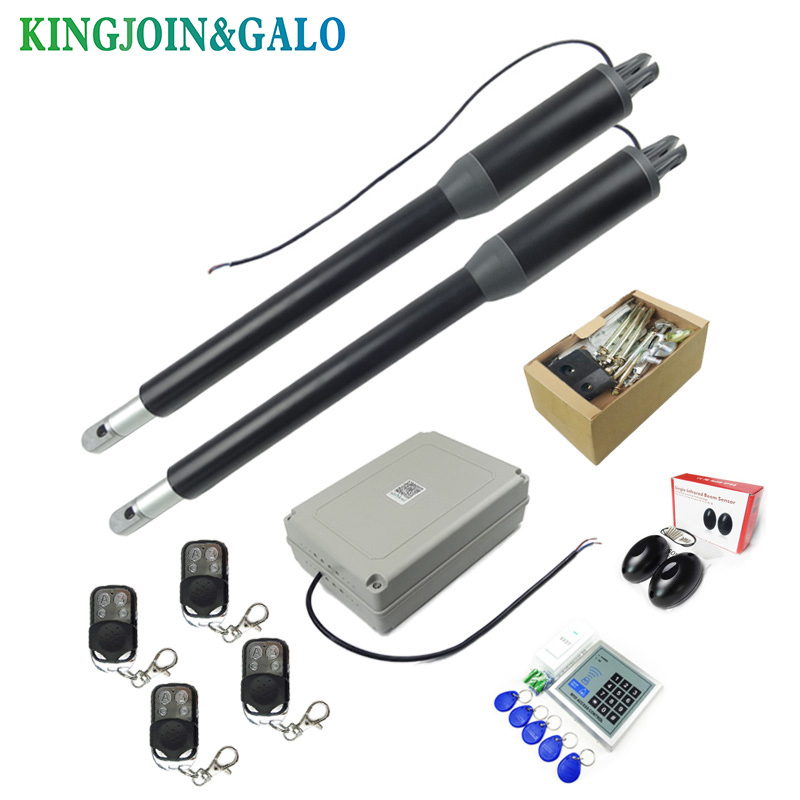 2.Clutch device for power failure,use a special key release clutch,operate the gate manually. 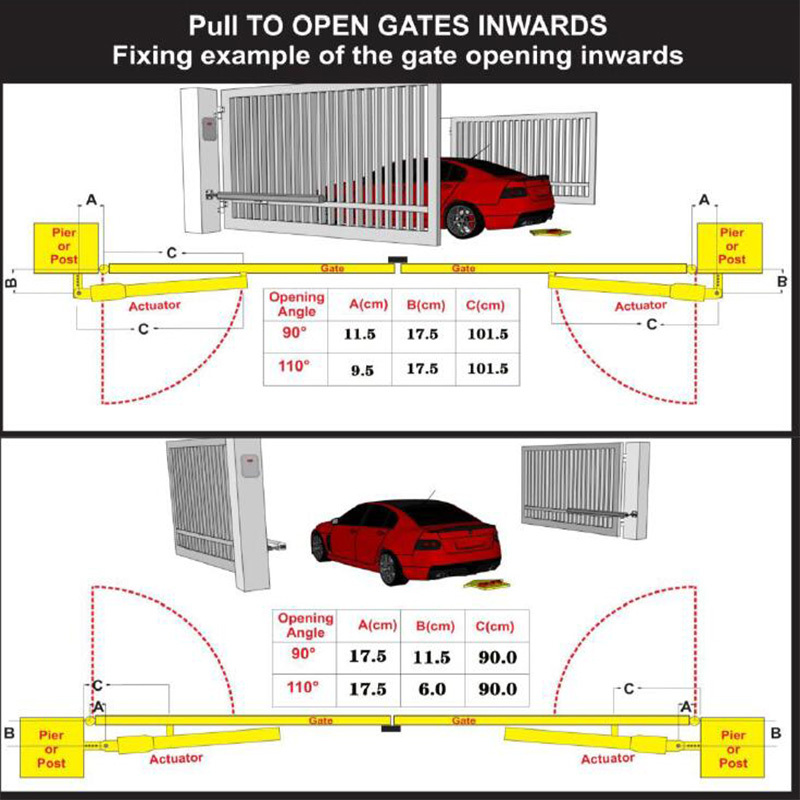 3.Stop working when gate meets obstacle. 5.Adjustable opening/closing interval between master and slave gate. 12. 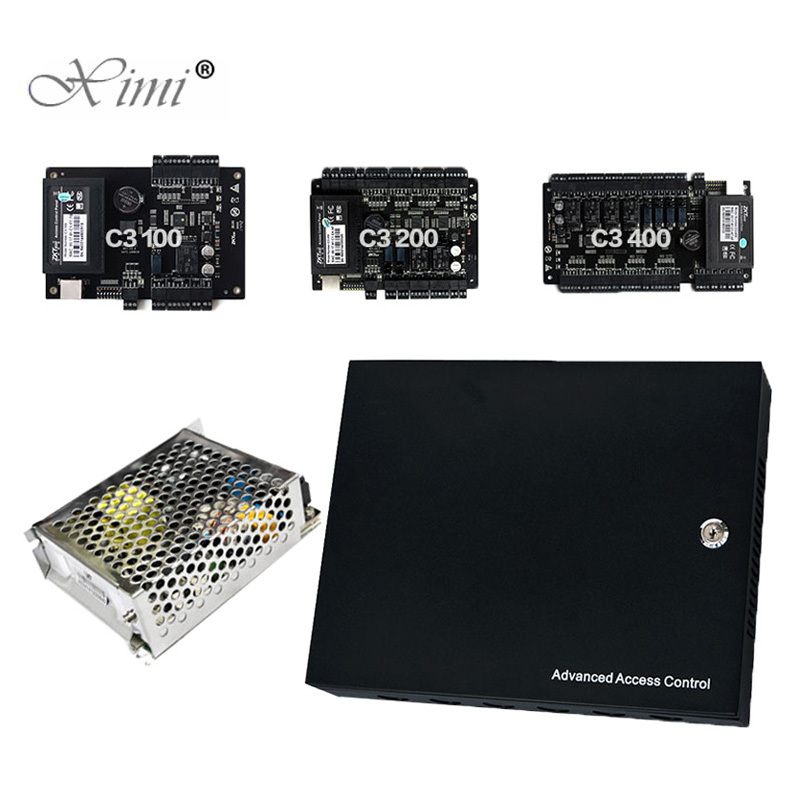 24V DC lamp output is used for connecting flash light +. 13. 24V DC lamp output is used for connecting flash light -. 21. 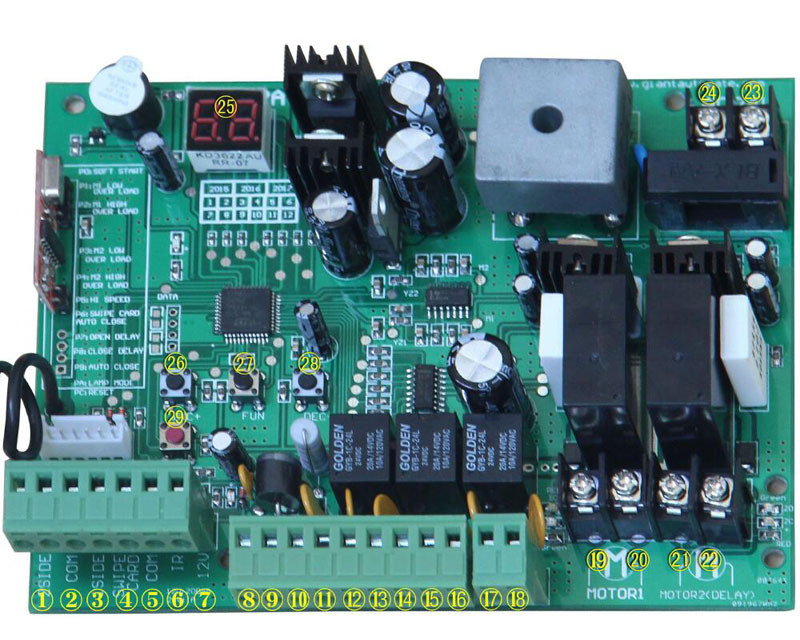 Motor2 Delay terminal is used for connecting the motor 2 installed on the gate that opens first and close later. This terminal connect 1st blue wire (counted from your left hand side to right hand side). NOTE! 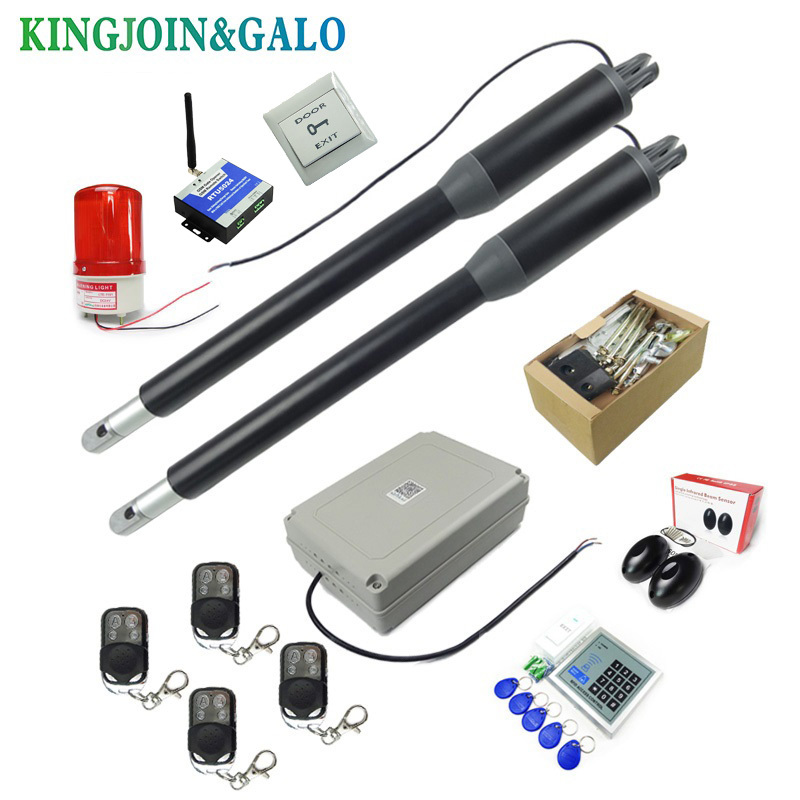 If for single gate, the gate motor just can connect the Motor2 Delay terminal. 22. Motor2 Delay terminal is used for connecting the motor 2 installed on the gate that opens first and close later. This terminal connect 2nd red wire (counted from your left hand side to right hand side).